SoftBank-backed Indian budget hotel startup is betting big on Saudi Arabia. The startup that entered the Saudi market less than two months ago already has over 50 properties across 7 cities including Riyadh, Jeddah, Khobar, Dammam, Taif, Makkah & Madinah, with over 3,000 rooms, and has even bigger plans for Saudi, Manu Midha, Oyo’s Regional Head for Middle East revealed in a conversation with MENAbytes. For those of you who don’t know, Oyo is a budget hotel aggregator that partners with independent and small hotel owners to work with them on standardizing rooms and services to sell the Oyo-branded rooms through its website, mobile apps, and partners. Started with a single hotel in 2013, the startup currently has over 18,000 buildings across 500 cities in 10 countries including India, China, Malaysia, Nepal, and UAE & Saudi in MENA. Having raised $1 billion at a reported valuation of $5 billion and an additional investment of $150-200 million from Airbnb at an unknown valuation, Oyo also runs home management services to manage unused private properties and rent them for short-term rental on behalf of homeowners. “We plan to utilize our unique full-stack technology led hospitality model to benefit the hotel owners in the kingdom. Our goal for Saudi Arabia is to invest significantly in the regional market and expand to over 17 cities across 6 provinces by 2020,” the Oyo executive added. Oyo has recently also partnered with the Saudi Ministry of Hajj and Umrah to provide them access to Oyo OS, a multi-lingual cloud-based property management software, and Krypton, a mobile auditing app that allows property owners or in this the Ministry, keep an eye on quality of hotels by having auditors visit the properties and conduct audits on them. “One of the single largest contributors to Saudi tourism are the pilgrims who travel to Mecca and Madina for Hajj and Umrah. To cater to the 30 million pilgrims that are expected by 2030, we have partnered with the Ministry of Hajj and Umrah to enable them to deliver an elevated hospitality experience in the holy cities of Makkah and Medina,” said the Oyo’s Regional Head for Middle East, speaking about the partnership in a conversation with MENAbytes. 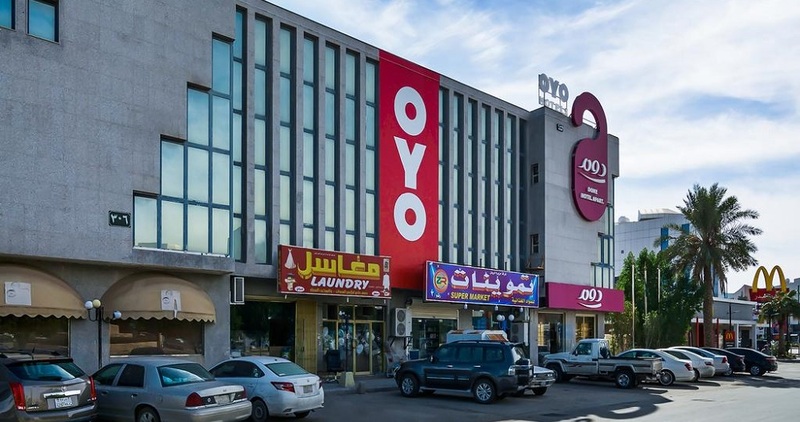 Manu added that Oyo in Saudi is currently being run by the majority of young Saudi national and the company plans to employ over 300 local citizens by the end of this year, and create (indirect) job opportunities for over 5,000 Saudi citizens by 2020. Update – Apr 17, 2019 – 8:50 AM GMT: The article was updated to reflect the latest count of Oyo properties across the world.